1 of 95 · Surfer on beach at sunset, Noosa Heads. Surfer on beach at sunset, Noosa Heads. 2 of 95 · Surfer on beach at sunset, Noosa Heads. 3 of 95 · Surfer on beach at sunset, Noosa Heads. 4 of 95 · Surfer on beach at sunset, Noosa Heads. 5 of 95 · Surfer on beach at sunset, Noosa Heads. 6 of 95 · Surfer on beach at sunset, Noosa Heads. 7 of 95 · Surfer on beach at sunset, Noosa Heads. 8 of 95 · Surfer on beach at sunset, Noosa Heads. Scuba diving at the Great Barrier Reef. 9 of 95 · Surfer on beach at sunset, Noosa Heads. Skydiving the reef at Cairns. 10 of 95 · Surfer on beach at sunset, Noosa Heads. 11 of 95 · Surfer on beach at sunset, Noosa Heads. 12 of 95 · Surfer on beach at sunset, Noosa Heads. 13 of 95 · Surfer on beach at sunset, Noosa Heads. Bungle Bungles range in Purnululu National Park. 14 of 95 · Surfer on beach at sunset, Noosa Heads. 15 of 95 · Surfer on beach at sunset, Noosa Heads. 16 of 95 · Surfer on beach at sunset, Noosa Heads. 17 of 95 · Surfer on beach at sunset, Noosa Heads. 18 of 95 · Surfer on beach at sunset, Noosa Heads. Fern Pool in Dales Gorge, Karijini National Park. 19 of 95 · Surfer on beach at sunset, Noosa Heads. Hancock Gorge in Karijini National Park. 20 of 95 · Surfer on beach at sunset, Noosa Heads. Giant Panda at Adelaide Zoo. 21 of 95 · Surfer on beach at sunset, Noosa Heads. 22 of 95 · Surfer on beach at sunset, Noosa Heads. 23 of 95 · Surfer on beach at sunset, Noosa Heads. 24 of 95 · Surfer on beach at sunset, Noosa Heads. 25 of 95 · Surfer on beach at sunset, Noosa Heads. 26 of 95 · Surfer on beach at sunset, Noosa Heads. 27 of 95 · Surfer on beach at sunset, Noosa Heads. Exhibit at Rocks Discovery Museum. 28 of 95 · Surfer on beach at sunset, Noosa Heads. 29 of 95 · Surfer on beach at sunset, Noosa Heads. Gallery of Modern Art in Brisbane. 30 of 95 · Surfer on beach at sunset, Noosa Heads. 31 of 95 · Surfer on beach at sunset, Noosa Heads. Crowds at Mindil Beach Sunset Market. 32 of 95 · Surfer on beach at sunset, Noosa Heads. 33 of 95 · Surfer on beach at sunset, Noosa Heads. 34 of 95 · Surfer on beach at sunset, Noosa Heads. Sea turtle in the Great Barrier Reef. 35 of 95 · Surfer on beach at sunset, Noosa Heads. 36 of 95 · Surfer on beach at sunset, Noosa Heads. 37 of 95 · Surfer on beach at sunset, Noosa Heads. 38 of 95 · Surfer on beach at sunset, Noosa Heads. 39 of 95 · Surfer on beach at sunset, Noosa Heads. 40 of 95 · Surfer on beach at sunset, Noosa Heads. 41 of 95 · Surfer on beach at sunset, Noosa Heads. 42 of 95 · Surfer on beach at sunset, Noosa Heads. 43 of 95 · Surfer on beach at sunset, Noosa Heads. 44 of 95 · Surfer on beach at sunset, Noosa Heads. 45 of 95 · Surfer on beach at sunset, Noosa Heads. 46 of 95 · Surfer on beach at sunset, Noosa Heads. 47 of 95 · Surfer on beach at sunset, Noosa Heads. 48 of 95 · Surfer on beach at sunset, Noosa Heads. 49 of 95 · Surfer on beach at sunset, Noosa Heads. 50 of 95 · Surfer on beach at sunset, Noosa Heads. Cay near the Great Barrier Reef. 51 of 95 · Surfer on beach at sunset, Noosa Heads. 52 of 95 · Surfer on beach at sunset, Noosa Heads. 53 of 95 · Surfer on beach at sunset, Noosa Heads. 54 of 95 · Surfer on beach at sunset, Noosa Heads. 55 of 95 · Surfer on beach at sunset, Noosa Heads. 56 of 95 · Surfer on beach at sunset, Noosa Heads. Tropical fruit growing in Cairns. 57 of 95 · Surfer on beach at sunset, Noosa Heads. 58 of 95 · Surfer on beach at sunset, Noosa Heads. Angelfish and cardinalfish in Byron Bay. 59 of 95 · Surfer on beach at sunset, Noosa Heads. 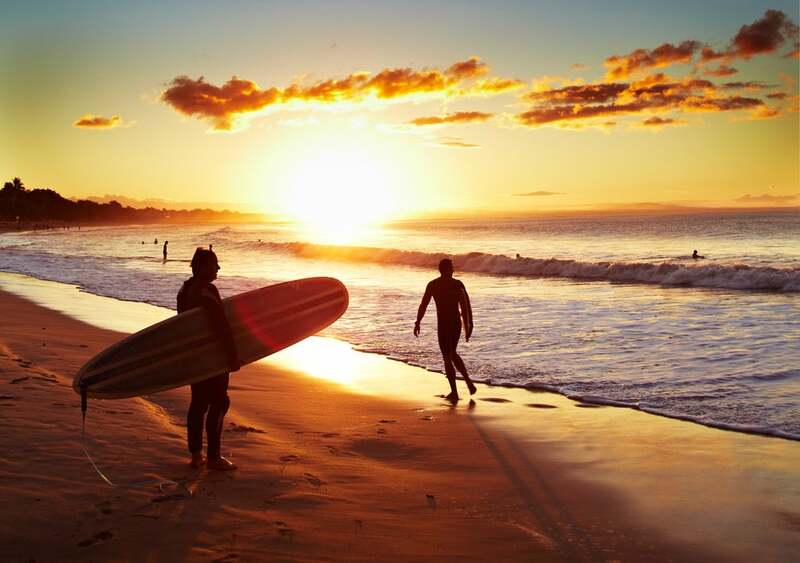 60 of 95 · Surfer on beach at sunset, Noosa Heads. 61 of 95 · Surfer on beach at sunset, Noosa Heads. 62 of 95 · Surfer on beach at sunset, Noosa Heads. Cliff face near Echidna Chasm in Purnululu National Park. 63 of 95 · Surfer on beach at sunset, Noosa Heads. Cathedral Gorge in Purnululu National Park. 64 of 95 · Surfer on beach at sunset, Noosa Heads. 65 of 95 · Surfer on beach at sunset, Noosa Heads. 66 of 95 · Surfer on beach at sunset, Noosa Heads. Food stall at Mindil Beach Sunset Market. 67 of 95 · Surfer on beach at sunset, Noosa Heads. Snorkling near the Great Barrier Reef. 68 of 95 · Surfer on beach at sunset, Noosa Heads. 69 of 95 · Surfer on beach at sunset, Noosa Heads. 70 of 95 · Surfer on beach at sunset, Noosa Heads. 71 of 95 · Surfer on beach at sunset, Noosa Heads. 72 of 95 · Surfer on beach at sunset, Noosa Heads. 73 of 95 · Surfer on beach at sunset, Noosa Heads. 74 of 95 · Surfer on beach at sunset, Noosa Heads. 75 of 95 · Surfer on beach at sunset, Noosa Heads. 76 of 95 · Surfer on beach at sunset, Noosa Heads. 77 of 95 · Surfer on beach at sunset, Noosa Heads. 78 of 95 · Surfer on beach at sunset, Noosa Heads. 79 of 95 · Surfer on beach at sunset, Noosa Heads. 80 of 95 · Surfer on beach at sunset, Noosa Heads. Feather star in the Great Barrier Reef. 81 of 95 · Surfer on beach at sunset, Noosa Heads. Tropical Centre at Sydney's Royal Botanic Gardens. 82 of 95 · Surfer on beach at sunset, Noosa Heads. 83 of 95 · Surfer on beach at sunset, Noosa Heads. 84 of 95 · Surfer on beach at sunset, Noosa Heads. Koala at the Australia Zoo. 85 of 95 · Surfer on beach at sunset, Noosa Heads. Lighthouse at Cape Byron State Conservation Park. 86 of 95 · Surfer on beach at sunset, Noosa Heads. Saltwater crocodiles at Crocosaurus Cove. 87 of 95 · Surfer on beach at sunset, Noosa Heads. 88 of 95 · Surfer on beach at sunset, Noosa Heads. Graffiti and posters in Croft Alley. 89 of 95 · Surfer on beach at sunset, Noosa Heads. 90 of 95 · Surfer on beach at sunset, Noosa Heads. Bungee jumping from the AJ Hackett Bungee Tower. 91 of 95 · Surfer on beach at sunset, Noosa Heads. 92 of 95 · Surfer on beach at sunset, Noosa Heads. 93 of 95 · Surfer on beach at sunset, Noosa Heads. Track to Mt Bruce in Karijini National Park. 94 of 95 · Surfer on beach at sunset, Noosa Heads. 95 of 95 · Surfer on beach at sunset, Noosa Heads. The Ghan train on route from Adelaide to Darwin.